Get 6 Hours Towards Recertification! Leading Achieve’s work in science, Aneesha has worked with numerous states and districts as they wrestle with the implementation and assessment of the NGSS, developed multiple tools to help define three dimensional science task quality, and lead numerous professional learning activities across the nation. Nathan has focused exclusively on assessment and has advised multiple states, including Delaware, Louisiana, and Nebraska, on the design of their statewide science assessments, supported state decision makers through multiple activities in partnership with the Council of Chief State School Officers as they work to address the NGSS, and co-lead an ongoing series of professional development workshops in Alabama on behalf of the Alabama Math, Science, and Technology Initiative. The Board of Directors would like to wish all RISTA members and new friends a prosperous 2019! We would also like to take this opportunity to introduce you to our newest Board Member, Amanda Carlino. Amanda is currently teaching chemistry at La Salle and received her MAT at Brown University. We welcome Amanda and her passion to lead scientific literacy for all! Amanda is replacing Stephen Lakeland, a long time Board member, science advocate, and friend. We are grateful for Mr. Lakeland's service and wish him well in all future endeavors! There are current seats available on the Board of Directors and we hope you will consider nominating a colleague or yourself to join our family. An official nomination ballot will go out soon. Also stay tuned for a spring workshop on NGSS Three Dimensional Assessment. In lieu of our usual spring conference we are planning a special session to help you design 3D assessments for your courses. The following will be active until our next conference. Be sure to access the conference presentations you were unable to attend. Thank you Okhee and Katherine! Okhee Lee is a professor in the Steinhardt School of Culture, Education, and Human Development at New York University. 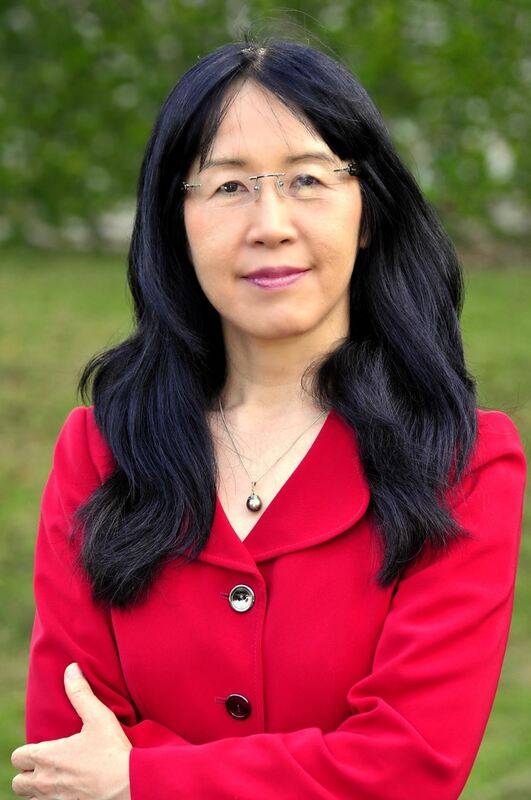 Her research areas include science education, language and culture, and teacher education. She is currently leading collaborative research between New York University and Stanford University to develop NGSS-aligned instructional materials in order to promote science and language learning of elementary students including English learners. 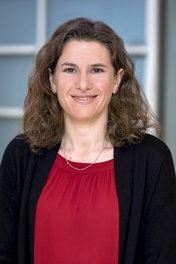 She is also leading collaborative research with MIT and Vanderbilt University to integrate computational thinking and modeling in NGSS-aligned instructional materials. She was a member of the NGSS writing team and served as leader for the NGSS Diversity and Equity Team. She was also a member of the Steering Committee for the Understanding Language Initiative at Stanford University. She was a 2009 Fellow of the American Educational Research Association (AERA), received the Distinguished Career Contribution Award from the AERA Scholars of Color in Education in 2003, and was awarded a 1993-95 National Academy of Education Spencer Postdoctoral Fellowship. Katherine McNeill is an associate professor of science education at Boston College. Dr. Kate McNeill's research focuses on helping students with diverse backgrounds learn scientific practices, such as explanation and argumentation. Science is not about discovering or memorizing facts; rather it is about constructing arguments and considering and debating multiple explanations for phenomena. Argumentation and explanation have become increasingly prevalent as essential goals for science education in which students need to support claims using appropriate evidence and reasoning as well as consider and be critical of alternative explanations. Her research has included the development and use of the claim, evidence and reasoning (CER) framework to support students in these practices. In addition, she has authored several books aimed at supporting teachers using scientific argumentation in their classrooms. She has also conducted numerous workshops at the annual meeting of the National Science Teachers Association (NSTA) and for school districts including the Detroit Public Schools and the Boston Public Schools. If you did not already renew your RISTA membership, you have probably received an email to renew. We have several types of memberships- pre-service, current educator, and former educator. We welcome educators of science at all levels. If you are new to RISTA, we welcome you to join us and attend the professional development events, network with other science educators, and stay informed with our bi-monthly update. RISTA is planning some great opportunities for the 2017-18 academic year, join today so you don't miss out! Our Institutional Membership can be purchased by an administrator for use by faculty at their school. This membership will allow flexibility of who can attend our events and conference at the member rate. For each event, up to 5 educators can attend with an institutional membership. Administrators will receive updates and event announcements to pass along to their faculty. To purchase an institutional membership, click here. RISTA members have access to over 4000 items in the NSTA Learning Center! Access these resources by visiting http://learningcenter.nsta.org/rista and setting up an account (you do not have to be an NSTA member), return to the RISTA portal and enter the promo code "rista" in the box on the right side of the page. This resource collection has articles, webinars, and lesson ideas for all grade levels and topics. Since the standards were released in April, 2013 there are 15 states and D.C. that have also adopted the NGSS as their state science standards. The RI Science Education Community (RISEC) and the RI Network of Science Instructional Leaders (RINSIL) meet regularly to plan and communicate information regarding implementation. This team consists of teachers, administrators, post-secondary faculty, and other stakeholders in RI science education. All science educators are encouraged to familiarize themselves with the Framework for K-12 Science Education, which is a publication that the NGSS are based on. A free pdf of the Framework is available at NAP. More information about the development of the NGSS is available at www.nextgenscience.org. NSTA has developed a great selection of webinars and support materials for educators as we shift to the NGSS. Their materials can be accessed at NSTA.